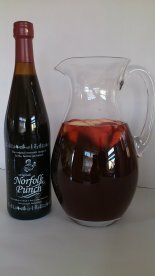 We are very keen to list any recipes which feature Norfolk Punch - here are a few we have already tried ourselves. If anyone has any ideas and/or recipes of their own, please feel free to email them to us on info@norfolkpunch.com. We will be only to happy to try them out for ourselves and list them on the site once we've sampled them.